Yesterday I finally able to lunch at Sanoya of my favorite Japanese on-a-budget restaurants. I like it so much that the last time I came there, I’d gone through the trouble of taking the bus and walking a couple of blocks just to eat by myself. This time, I introduced my friend Kim to it and I’m certain she had a great time, too! Photos from Sanoya. Sanoya ramen and gyudon. It has a very old-time feel and there’s basically only one waitress, very hole-in-the-wall, but it’s great nonetheless. I ordered the “Gyudon Mix Set” and received a half–but still considerably large–serving of Sanoya ramen, their signature ramen, and a gyudon bowl. 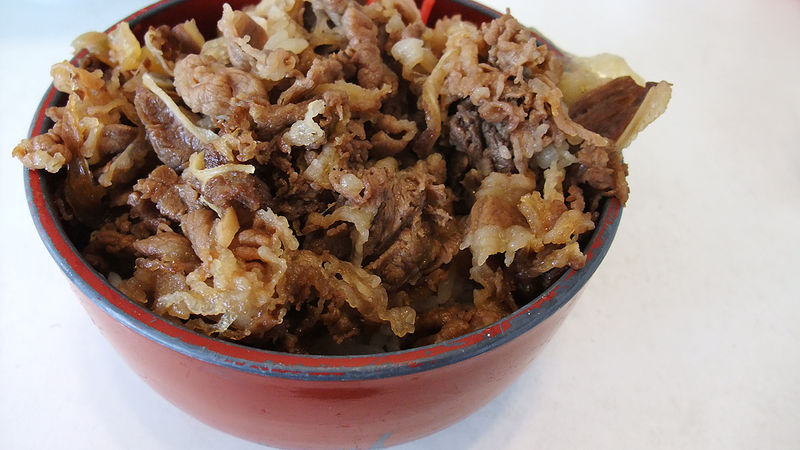 Gyudon, often literally translated into English as beef bowl, is a Japanese dish consisting of a bowl of rice topped with beef and onion simmered in a mildly sweet sauce flavored with dashi (fish and seaweed stock), soy sauce and mirin (sweet rice wine). 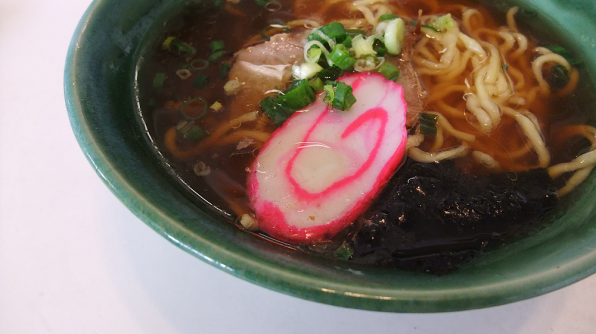 I only was able to finish the ramen because I was so full. All of this for around $6!